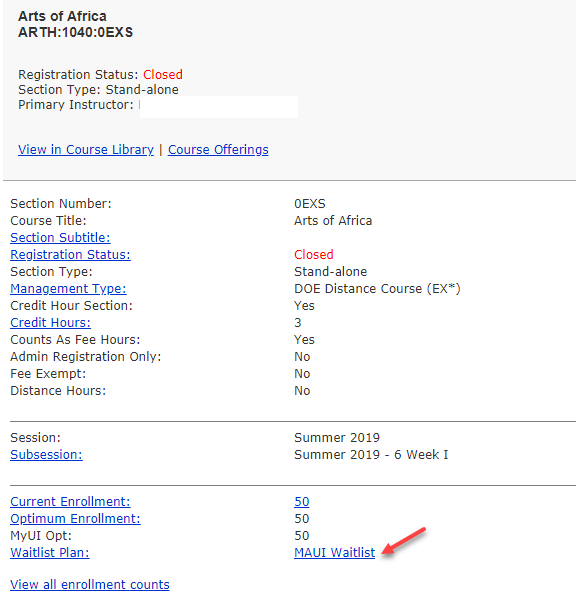 In Offerings Planner, view the course offering. Click on MAUI Waitlist. 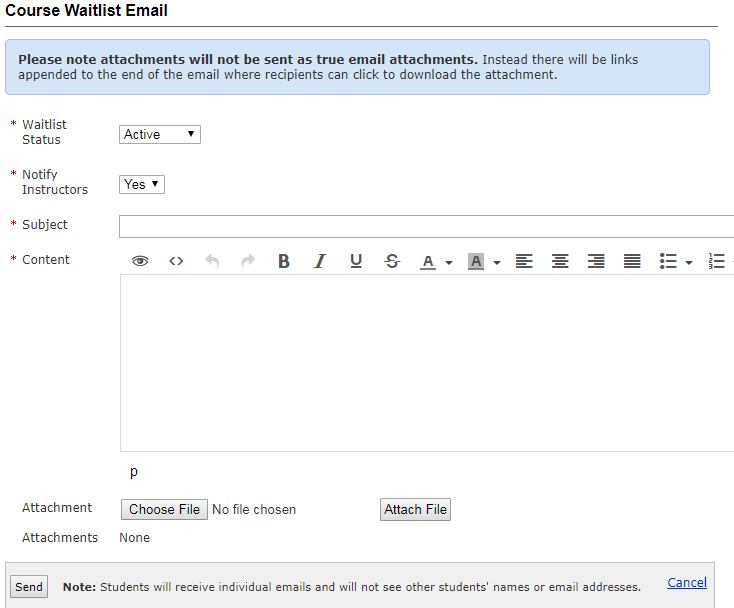 Within in the MAUI Waitlist area, click on Email Students. Choose the student(s) you wish to email. Your options are to Check All or click into the individual boxes to the left of each student's information. Click Compose Email. Click Send. A confirmation message will display after the message is sent.